Yes, lumber is our core product, but there are times when steel or masonry provides the best solution for your structural needs. We stock an array of products for various types of projects to provide you with your best options. Steel studs offer an alternative to wood framing for walls used frequently in commercial buildings or may be required by the building code. We stock 25 gauge studs both 3-5/8” and 1-5/8” wide in lengths up to 14 feet. For load bearing applications we have 3-5/8” 20 gauge studs up to 15 feet long. To complete your project we stock track, screws, and other accessories. Steel postscan be used with both steel and wood beams and are in stock for both permanent and temporary use. Varying diameter posts are available for different capacities and may be adjusted for heights up to 10 feet. Steel beams,stocked at our H.P. Starr locations, offer greater carrying capacity than wood products in many cases. Our beams are pre-primed to protect from rust and are in stock in 8” x 18#, 10” x 26#, and 10” x 33#. As part of our service we will cut your beam to length, as well as cutting holes or welding plates. 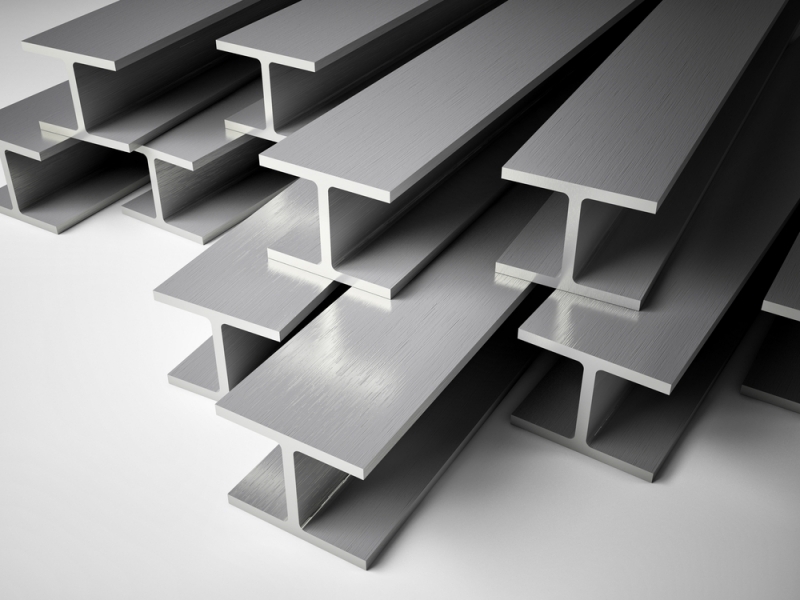 In addition to beams, we also offer steel angles and plates in various sizes. Brick offers a warm and solid exterior facing as an option to or compliment for siding. Our H.P. Starr locations stock several popular colors and styles and have access to a broad array through our special order program. Delivery on our boom truck is available for all brick products. 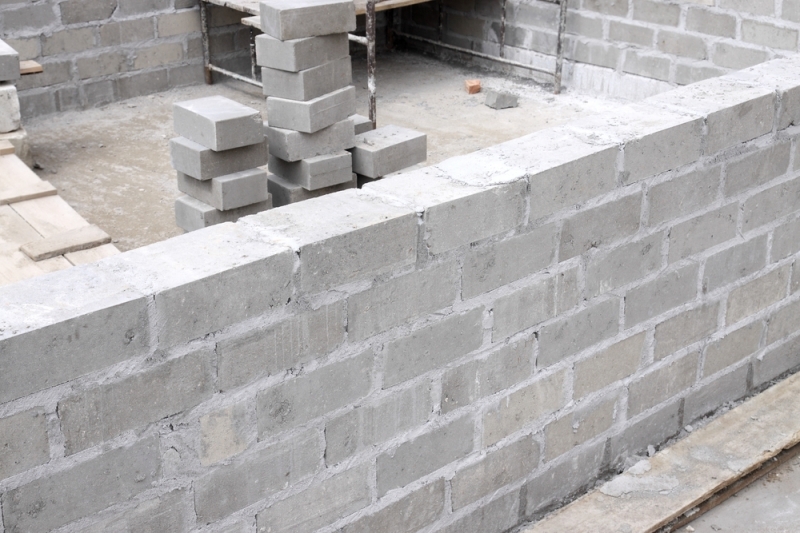 Concrete block has many uses from foundations to retaining walls. A variety of sizes and configurations are in stock at our H.P. Starr locations for pickup or we can deliver larger orders with our boom truck. 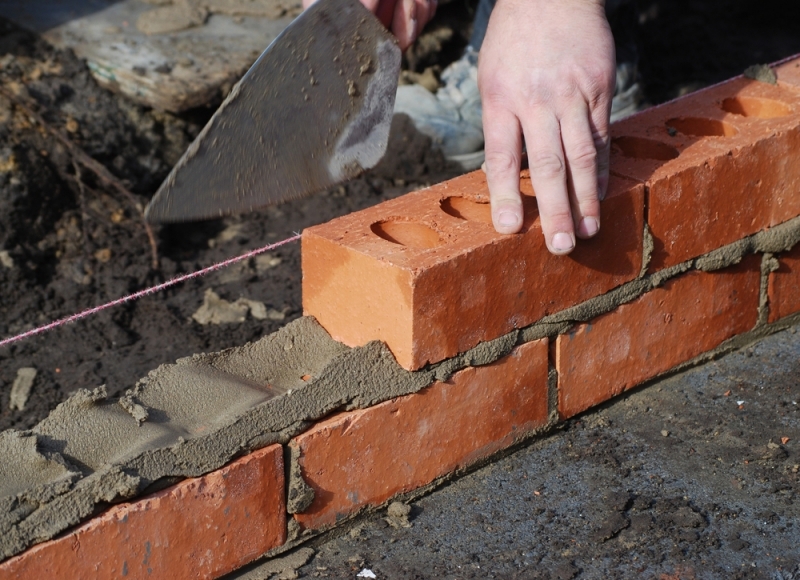 We also stock a variety of accessories such as mortar and reinforcing rod. Bagged products such as concrete mix, mortar, sand mix, blacktop repair, and sand from Sakrete and Quikrete are in stock to complete your project. Sealers for concrete, blacktop, and foundation walls are also available. If you prefer to mix your own we have bulk gravel and sand, as well as portland cement, in stock at our H.P. Starr locations. Form-A-Drain® is a unique three-in-one solution to forming footers, providing drainage, and venting radon (if needed). Form-A-Drain saves time and labor costs by eliminating the need for a crew to return to a job to remove and clean forms and install a drainage system. Simply install Form-A-Drain and leave it – the drainage system is built in.